Welcome to Hendo’s TV Antennas and Installation Website! Both passion and professional work are what embody Hendo’s expertise and long experience in the trade. 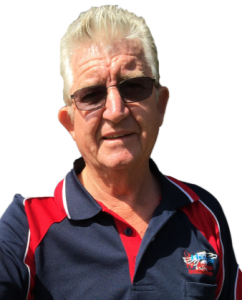 Born in Warwick QLD, Peter Henricksen or simply Hendo as his friends call him is your local specialist to make your TV get the best reception ever. With over 30 years of experience, Hendo has a vast knowledge and technical know-how not only in basic installation services but trouble shooting needs. No wonder friends and long term customers call him the antenna man. Hendo has worked to countless service establishments and projects including Aquarius Apartments, Etty Bay Caravan Park, Crown Hotel, Atherton RSL, Pescis Restaurant, Piermonte Apartments, Elisium Apartments, Mangosteins Restaurant, Montezuma’s Cairns, Riverside Tavern Innisfail, Body Corporate Services, Ulysses Apartments, Karumba Lodge, Dunk Island Resort, Mossman Library to name a few. Hendo offers a wide coverage of services including antenna and satellite installation for domestic and commercial establishments, caravans and boats. As an electrical specialist, Hendo also conducts testing and inspection (tag and testing) services for electrical tools and leads. On top of these are security alarm and camera systems to protect your homes and business valuables. Hendo operation in Cairns, Innisfail to Mossman, Tablelands and everywhyere in between. Equipped with a wide variety of excellent products from a range of top quality local and international suppliers, you are guarrenteed 100% for his work and services.